Yesterday I got some wonderful news that set my film-making dreams ablaze! A short about Sparkle Bunny that I pitched with director Matthew Kowalchuk has made it to the final 13 semi-finalist at Crazy8s Film Fest! Actually we did two pitches; one video and one in-person to two separate juries. 120 filmmakers signed up to present their short film idea in a 5-minute video. 42 semi-finalists pitched in person to a jury of industry professionals. 13 finalists will workshop their script with a professional story editor. 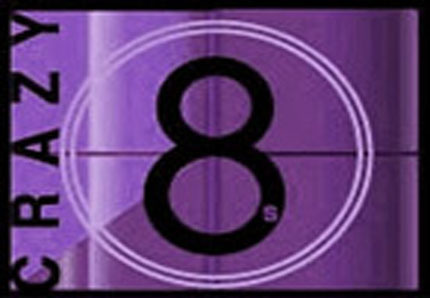 The 6 winners will have 8 days and $800 to make their films. But how, you’re asking, how did this all come about? Well, those of you who follow my blog might remember this post: Resurrecting Sparkle Bunny that I wrote in late November. Matthew Kowalchuck, whom I attended Studio 58 with, contacted me about pitching for Crazy 8s. It turns out that a few years ago I’d shared a treatment for a short or feature film I’d written about Sparkle Bunny. He saw my blog post re-post on Facebook and the connection was made. Of course we’re not in the clear yet. Only 6 films will get made this year, so we’ve still got a lot of work ahead. But I’m happy to have my character Sparkle Bunny, someone I created back in 2003, so well received. Check out this Georgia Straight link to find about about the other amazing and talented semi-finalists. It’s going to be difficult to narrow it down. I’ve got my fingers crossed for Sparkle Bunny, after all this is the year of the Rabbit. My lesson to you is this: put it out there, you never know who’s watching your feed and looking for a project to work on. That’s fantastic, Sarah. I’m really excited for you. Fingers crossed.